We at TNW Apps love apps, love music, and love apps that center on music be it listening to it, or making it. For days I have played with one of the neatest new apps for the iPhone/iPod Touch, the first official app from Moog Music, Filtatron ($4.99), available to the music-loving masses starting today. The Filtatron app contains many functions that a Moog and music lover will enjoy, in addition to getting one’s mind racing with respect to what can be created with this feature-rich iOS sound machine. 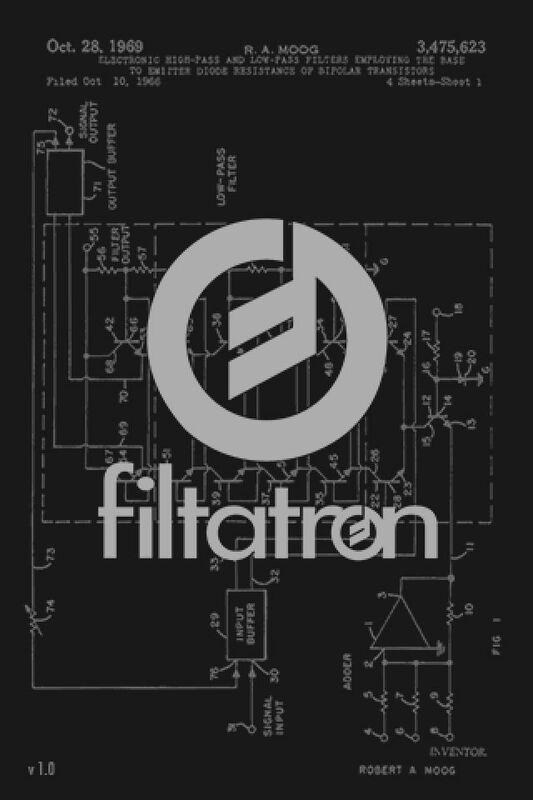 One of the truly grand things about Filtatron is the ability for one to use the Filtatron sampler to record one’s custom creations, combine them with the Moog Ladder Filter and/or the built-in effects module. Having introduced you to the app, let us dive in and see if the app’s price of $4.99 is justified by examining the app’s features. To begin, note that Filtatron is not an easy app to use right off the bat. I recommend starting your exploration of the app by reading the “User Guide.” More on that feature below. After launching Filtatron, the “Main/FX” screen presents a four-pole resonant Moog Ladder Filter. This feature is modeled after the filter on Moog instruments and provides a sound nearly identical to the classic sound physical Moog instruments are known for. Using the functions below, one can modify sounds in any number of ways, be it by using the oscillator, sampler, and/or line input. If you’ve read the “User Guide” the features are easily understood and a blast to toy with. If not, simple experimentation with the knobs will provide one with a good feel of what each does and after extended use, even a novice will easily grasp some of the basic features provided with this aspect of the app. After setting up some of the basic sound features in the “Main/FX” screen, the next feature of the app to explore are the “Pads.” Filtatron fetures two Pads with an intuitive interface providing touch-control of the Filtatron parameters. Each Pad can control two parameters at the same time, with five different functions that can be controlled simultaneously. Yours truly found the Pads to be the most enjoyable aspect of the app. Modifying sounds by simply sliding the blue square around their respective pads is smile-inducing and sends one’s mind off on music creating tangents which are almost limitless. The “Sampler” function comes pre-loaded with loopable samples, allowing one to record and play your own unique sounds. With the Sampler, one can move audio files back and forth between the app and ones computer for further modification. Moreover, Audio Copy and Audio Paste allow one to share sounds with other compatible apps, a super slick feature. As stated, one of the most important aspects to Filtatron is the “About” feature. There is a learning curve when first using the app, but for those that read the detailed User Guide, the learning curve is markedly less steep. The Glossary of electronic music terminology will also greatly enhance your understanding of the Filtatron and electronic music in general. A very handy feature of the app even for those familiar with electronic music. To see the app in action, check out this great video of Richard Devine, an Atlanta-based electronic music creator. Devine is known for producing a layered and heavily processed sound, combining influences from old and modern electronic music. What he does when he gets his hands on Filtatron, as the video shows, is nothing short of incredible. Filtatron is a grand app. The price, while steep at first glance, is certainly justified given the amount of features the app provides, the fun one has when using the app, and the creativity the app sparks in the user. Filtatron is not an app for everyone, but it is certainly an app those that love music and have an iPhone and iPod Touch should certainly check out. It is, without a doubt, a very grand app from the even more grand, Moog Music.